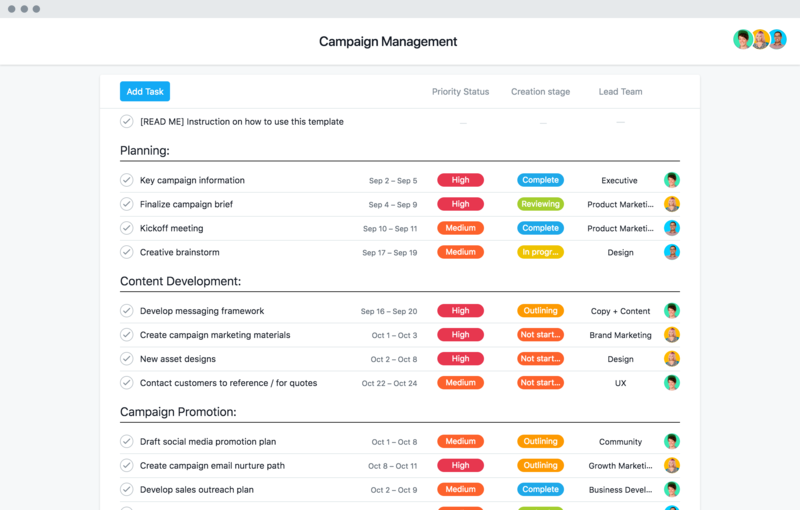 From conception to execution, our marketing templates help you plan and manage your content, campaigns, launches, events, and beyond. We’ve got tons of resources to walk you through best practices, tutorials, and customer stories for marketing teams. 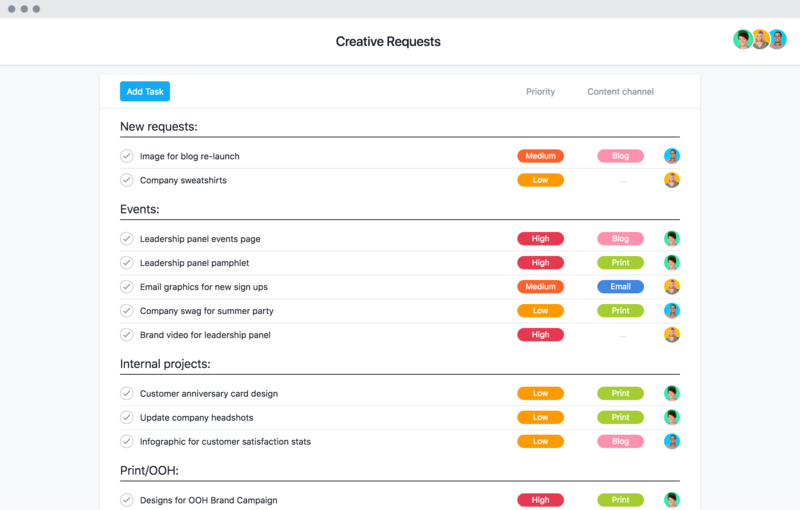 Despite big growth and constant change, AdRoll keeps up with these specific Asana use cases and tips. 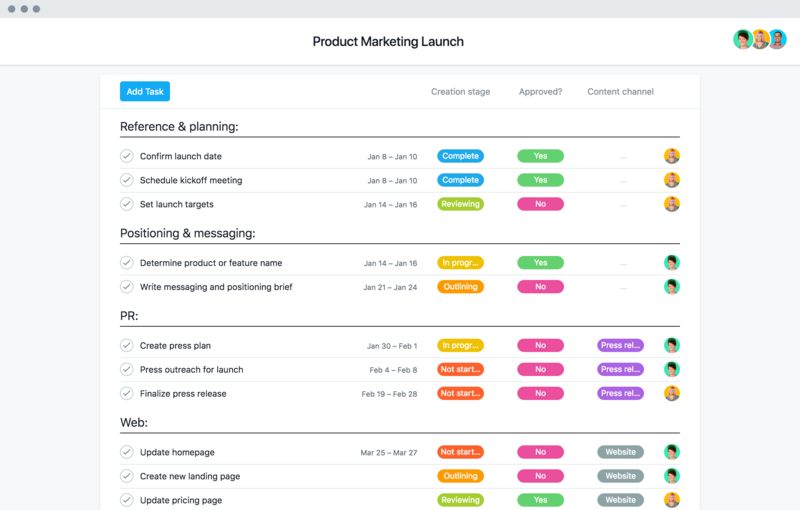 Our marketing series walks you through managing all your marketing work in Asana. Run any of these seven plays to turn your marketing strategy into results. Learn the best ways marketers use Asana with our in-depth online video courses. 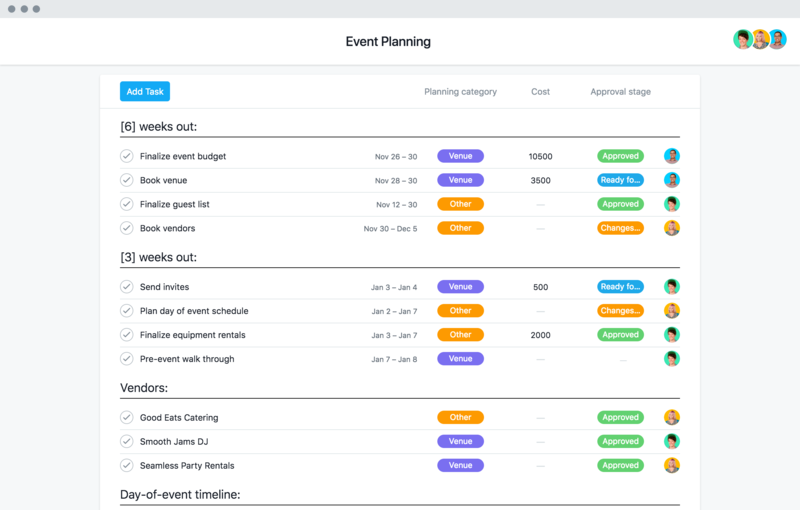 Event planning can be stressful, but this short tutorial can bring you peace of mind. 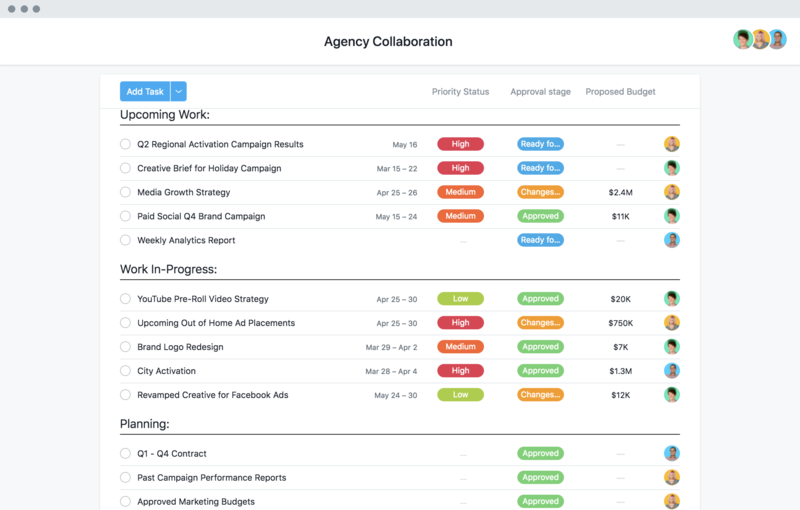 How do you plan huge campaigns across a remote team? See how in our webinar. 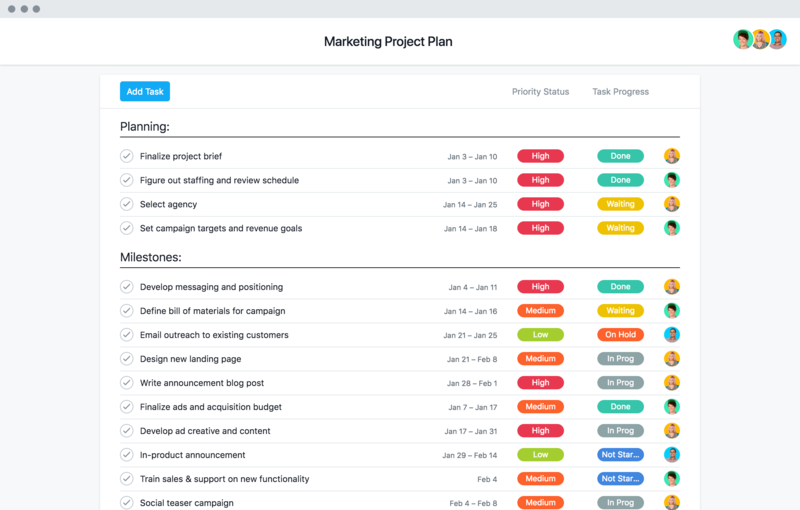 Templates are just one way to save time in Asana. 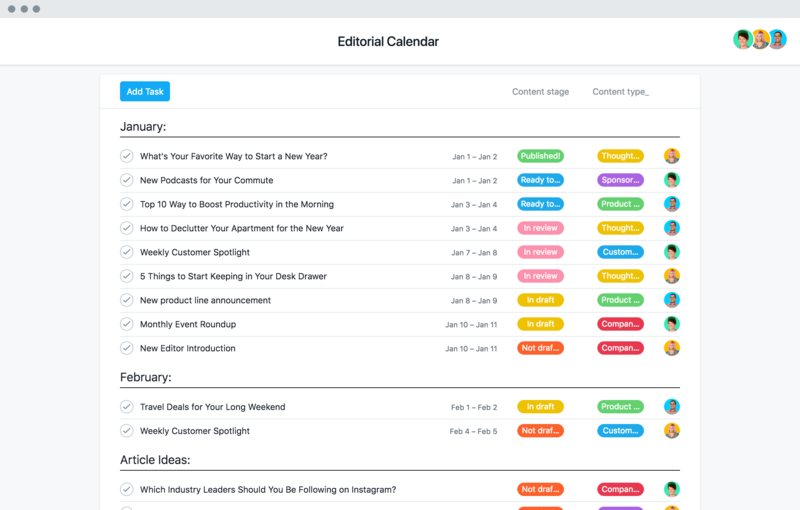 Try a free Premium trial to get even more productive.